Formula E is a new FIA Championship using electric single seater race cars capable of speeds in excess of 225km/h. The series will compete in the heart of 10 of the world's leading cities including Beijing, Los Angeles and London. Ten teams, each with two drivers, will go head-to-head to create a unique and exciting racing series designed to appeal to a new generation of motorsport fans whilst accelerating the electric vehicle market and promoting sustainability. Venturi will now be put forward to the FIA for approval as the tenth and final team to enter the new zero emission series. They join international names from around the globe with IndyCar outfits Andretti Autosport and Dragon Racing, Asia’s China Racing, Super Aguri and Mahindra Racing and European squads Drayson Racing, e. dams, Audi Sport ABT and Virgin Racing. The team is centred around the award winning Venturi Automobiles, a leader in high performance electric vehicles developing a range of sports, urban and utilitarian cars, as well as being the current holders of the world land speed record for an electric vehicle with 495kph (307mph). 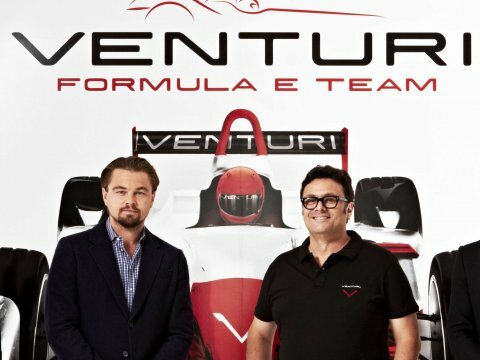 The team also plans to become a constructor from the second season, building its own car using a powertrain based on the one used in its 3,000hp electric streamliner - Venturi VBB-3 - unveiled earlier this year in Wendover, Utah by Prince Albert II of Monaco.